Travel in comfort with business class flights on an airline that has maintained a 5 star rating since 2014. 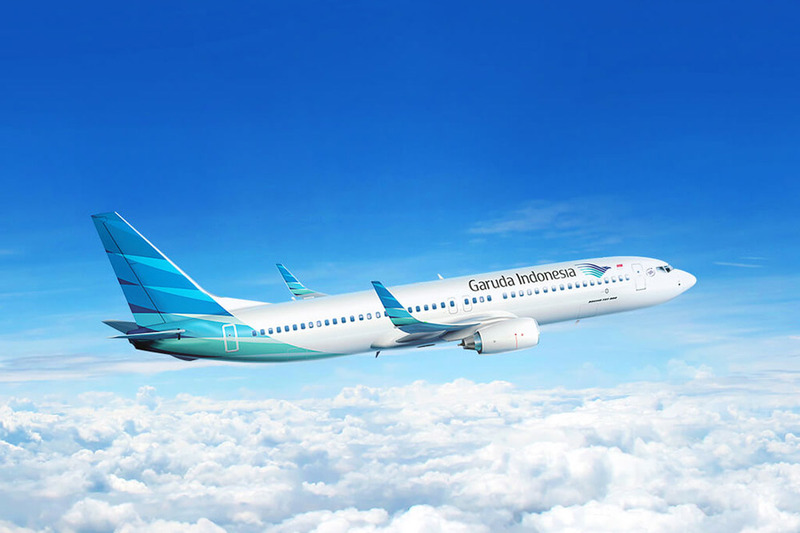 As one of only 11 airlines in the world to receive the 5 star rating from the independent review site SkyTrax, Garuda Indonesia rates higher than a lot of the big names in the sky. It’s not just about the comfort in Garuda Airlines business class, with the service from the cabin crew being voted “Best in the World” in 2018. 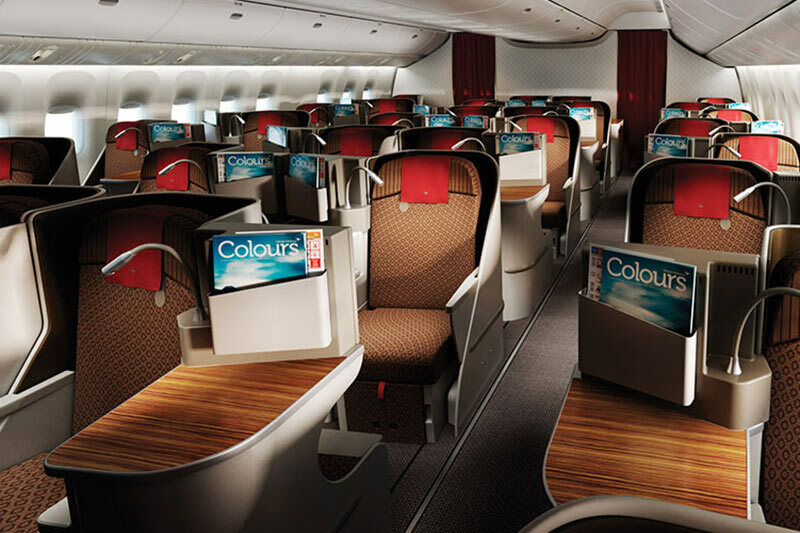 Why not try Garuda Indonesia business class on your next trip to Asia and Australia! Passengers on business class flights with Garuda Indonesia experience some of the best service and comfort in the sky. Delivering an experience often only provided to first class passengers, Garuda Indonesia business class will ensure that the journey is as memorable as the destination. With some of the best service by an airline in the world, your business class experience begins at the airport with the dedicated First & Business Class check-in counter. 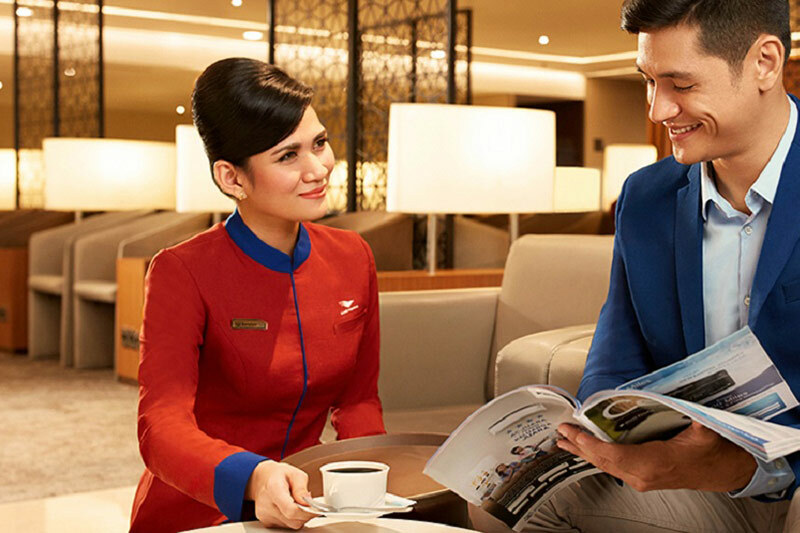 After being Fast-Tracked through security and immigration, premium class passengers can make the most of the lounge facilities which, as a member of the SkyTeam Alliance, include the SkyTeam lounge. Offering chef created delicacies and a wide selection of premium beverages in a relaxed and quiet environment. The lounge also allows passengers travelling on Garuda business class flights the option of purchasing spa treatments before their flight, or simply opting for a refreshing shower. At the gate, be greeted by the world’s best cabin crew after having priority boarding to begin your flight. Once boarded, the spacious business class seats are apparent; each with direct aisle access, power and USB outlets, generous personal storage, and an in-flight entertainment system showcasing the latest releases. Converting to a fully flat bed for a great night’s sleep, passengers will feel refreshed upon waking with the help of L’occitane amenity kits. A thoughtful selection of both Western and Indonesian meals are available from the business class menu, all prepared by a Manager Cuisine, and can be paired with a special selection of wines and beverages to enjoy. There is certainly many reasons behind the airline receiving the “Best Cabin Crew in the World” award, and the attentive service throughout the flight, especially during meals, contributes to this. Whether travelling to Australia to visit family and friends, or to South East Asia for a luxury holiday escape, business class flights on Garuda Indonesia makes the perfect start and end to the journey. Just Fly Business can help by organising special meal requests, pre-selecting seating, and all often at prices lower than booking directly with the airline. So when the time comes to start planning a family reunion, or a visit to the beaches in Bali, get in touch with the professionals at Just Fly Business for amazing deals on Garuda Indonesia business class and first class flights. Travelling for business can be tiring, especially if it’s all the way to Sydney. Make sure to arrive refreshed and well rested for your business meeting by travelling on a 5 star airline in business class. With fully flat beds, you can rest on the way there, and with more personal space and in-seat power, you can continue to work on the flight home, ensuring that deadlines are met. The time saving doesn’t only apply to the flight either. Work areas and quiet areas in business class lounges make the perfect location to finalise any emails, and priority baggage means less time spent waiting in airports. The benefits of business class flights become almost essential for today’s business traveller. A major business hub in the region, Jakarta has emerged as a popular destination for UK business travellers. 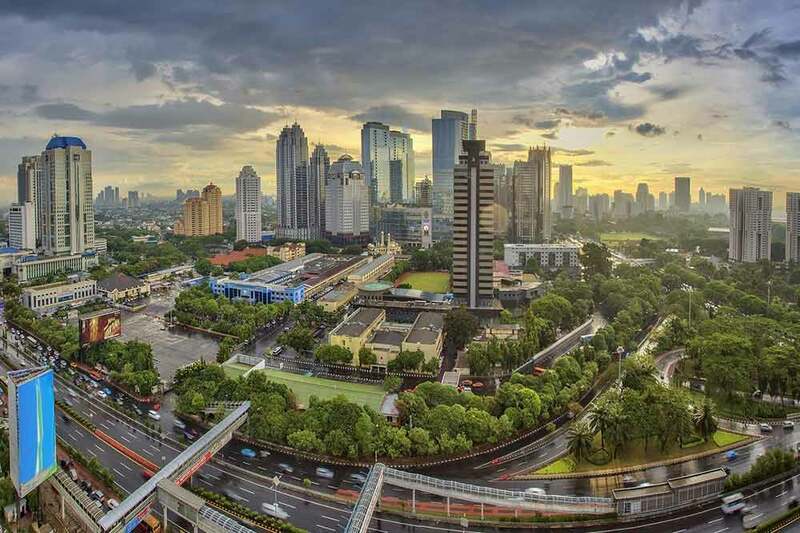 With a growing list of luxury hotels now in the city, Garuda Indonesia is a fantastic choice for Jakarta due to it being their home centre with many connecting flights. Looking for a tropical island complete with cheap shopping, amazing cuisine, natural beauty, and sunsets over palm-lined beaches? 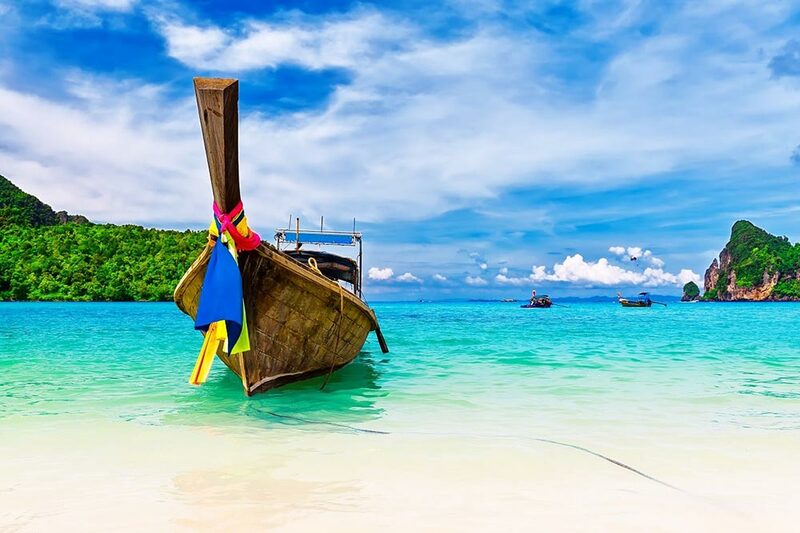 Phuket is the perfect getaway! Great for couples, families, and solo travellers alike, Phuket is only a short flight with Garuda Indonesia from Jakarta. 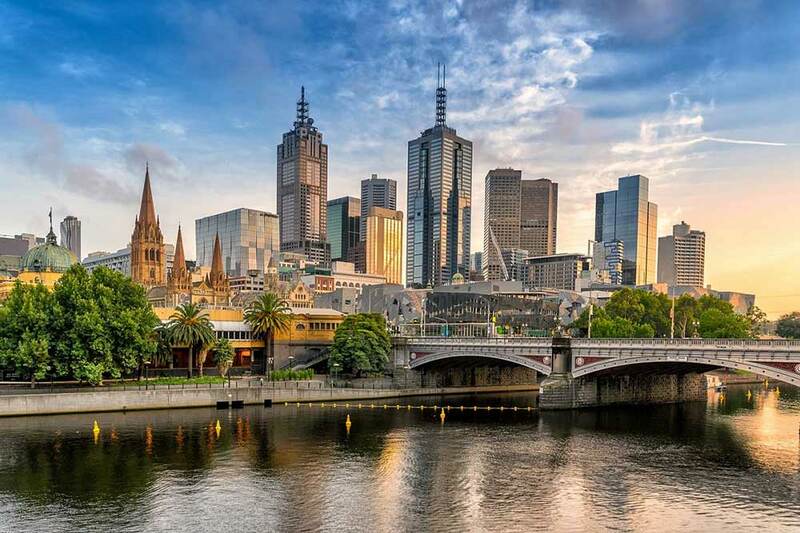 Known as Australia’s capital for coffee, sport, and art, Melbourne attracts nearly as many tourists every year as Sydney… and for good reason. Discover the laneways or see an AFL game to get a real feeling for the city, or hire a car and drive the Great Ocean Road for dramatic scenery; just make sure to arrive ready to go with Garuda Indonesia business class flights! Want To Know More About Garuda Business Class? Contact the knowledgeable consultants at Just Fly Business today and find out if Garuda Indonesia is the perfect option for your next trip. Call them on 0208 417 1366 or fill in the enquiry form above and we’ll take the hassle out of finding you the best deal.